Long Beach, Calif. – October 26, 2012 – Justin Pawlak in the Falken Tire Ford Mustang is the winner of the Tires.com Triple Crown bonus prize taking home $10,000 and a 51-30 Nixon watch. Pawlak finished fourth in the overall 2012 Formula DRIFT Pro Championship standings. “This was an exciting Tires.com Triple Crown chase. We could not believe how close it was and were excited to crown a new champion. JTP has a college fund to start and we are happy to provide the first deposit. 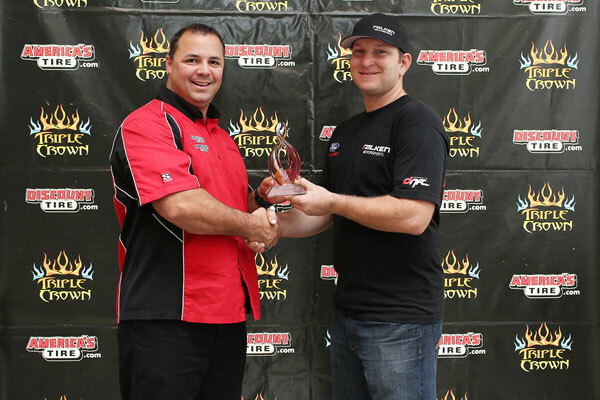 We are very happy to support the sport and drivers with this prize,” said Discount Tire. The Tires.com Triple Crown bonus prize is awarded to the driver that accumulates the most points within the selected three rounds of competition. For the 2012 Formula DRIFT Pro Championship season the event chosen were Round 2: Road to the Championship at Road Atlanta, Round 5: Throwdown at Evergreen Speedway and Round 7: Title Fight at Irwindale Speedway. Formula DRIFT enters its tenth season of competition in 2013. Tickets are on-sale currently and can be purchased through the Formula DRIFT website and Ticketmaster. Round 1: Streets of Long Beach will be held on April 12-13, 2013.